While Latin America recovers from a multi-year economic recession, Peru is attracting airline operators from around the world. In the past five years, JetBlue, VivaColombia, Interjet, Plus Ultra, and Spirit began offering international routes into Lima. The lure of cheap oil and a promising market with air passenger growth on the rise means competition between operators is increasing and flight prices for passengers are dropping. Up until now, Peru hasn’t had a low-cost airline to speak of. Soon there will be more than one. 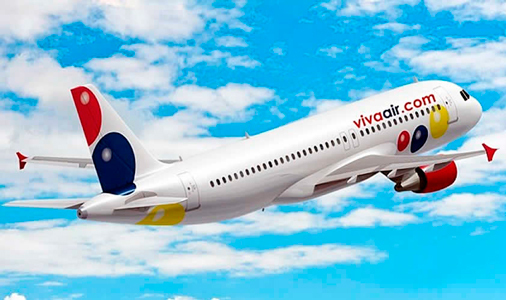 Viva Air Peru will be first, offering flights to 10 destinations within Peru for as low as 60 soles (USD$20). Viva Air Peru is expected to begin operating in May of 2017, but expect to see the repercussions in airline ticket prices as soon as March and April of 2017. The veteran domestic operators like LATAM, Peruvian Airlines, and LC Peru are already making adjustments to compete in the new low-cost market by offering no-frills ticket options, regular promotions, and more frequent flights to top destinations throughout Peru. Looking ahead, the rumor is that Lufthansa will return to Peru in 2018 and that American Airlines is considering a domestic route between Lima and Cusco. Stay tuned as the market shifts and an increasing number of carriers enter the ring. By year’s end, domestic flight prices could drop as low as 50% of their current rate.